In a previous blog, we wrote about the launch of the Despatch range of Motorcycles from Royal Enfield on 15th of July 2015. This motorcycle was offered online only at the Royal Enfield store. This motorcycle was launched in two colors, the Desert Storm and Squadron Blue. A limited edition bike – only 200 units were manufactured in each color, with 100 for Indian market and 100 for international market. 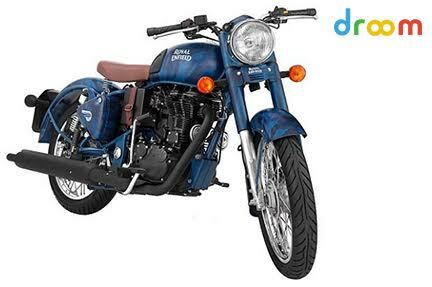 To Royal Enfield and everyone’s surprise, these motorcycles were sold out within 26 minutes of launch! This has left many customers heartbroken who were dreaming of owning one of these timeless classics. However, we have seen some custom paintjobs resembling these Despatch motorcycles surfacing the internet. 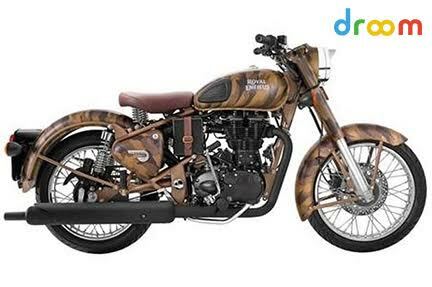 So if you are keen on getting one such motorcycle, visit us at http://droom.in get a Royal Enfield motorcycle and you can get a custom paint job for the same. This latter process would work out to be much less expensive than buying a new Despatch. These motorcycles were based on Classic 500 range of motorcycles with subtle changes like a handmade paint job, matte black finished engine and crank case, special Italian leather seats and a few others. But, the motorcycle commanded a heavy premium over the regular classic 500 motorcycles at 2.17 lakhs on road for Delhi. This premium charged is way too high compared to the differentiation offered. This makes a point clear, there is still a market for the classics and this edition which was made as a tribute to the war heroes of the world wars just stole the hearts of the buyers. We are yet to see the performance of these motorcycles internationally. However, Royal Enfield has managed to overtake the cruiser bike major Harley Davidson internationally in terms of sales. Royal Enfield is now investing Rs. 500 Crores in Research and Development, new product development, capacity expansion and setting up of two technology development centres in Chennai and UK. It is also speculated that Royal Enfield is replacing its 350 and 500 CC engines with 400 and 750cc modern, frugal and more powerful engines. The demand for these motorcycles have always outpaced the production capacity of the company in recent times and this investment in capacity addition should narrow the demand supply gap. Youre so cool! I dont suppose Ive read anything like this before. So nice to find any individual with some unique thoughts on this subject. realy thanks for beginning this up. this website is one thing that’s needed on the internet, someone with somewhat originality. helpful job for bringing something new to the web! I don’t care about this, since a few months I am earning an average of 4500$.